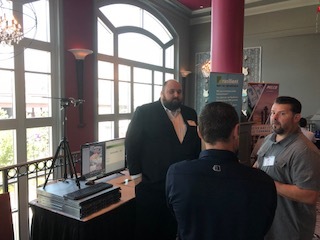 Surveillance Systems Incorporated (SSI) Technology Shows are held nationally throughout the year to provide guests the opportunity to experience product demonstrations of the newest technologies in IP video surveillance. 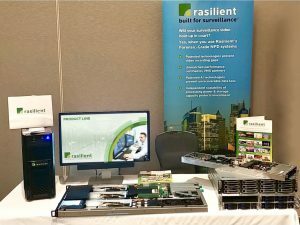 Rasilient recently participated in two SSI Surveillance Summits – one in Ontario and the other in British Columbia – to share the variety of solutions we offer to provide the best foundation to deliver reliable and quality video surveillance. 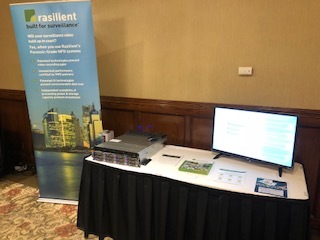 At both events, we showcased a variety of products including the ApplianceStor 70 high-performance video surveillance appliance. 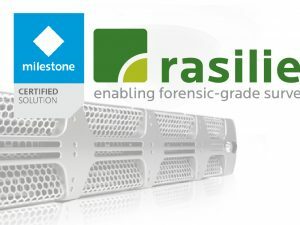 The AS70 delivers the performance required for the most demanding megapixel installations. 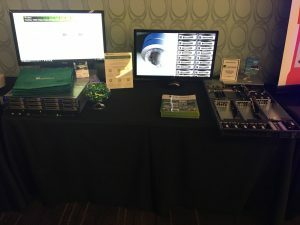 We also demonstrated our PixelStor5000 high-performance video surveillance storage system. 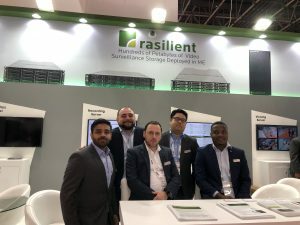 The PS5000 features advanced caching, zero maintenance and monitoring technologies which enable unmatched performance, reliability and power savings. 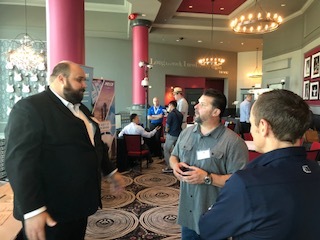 Pictured is Rasilient Director of West Coast Sales Nick Balatoni at the SSI Surveillance Summit held Thursday, July 26, at the Hard Rock Casino in Coquitlam, British Columbia.